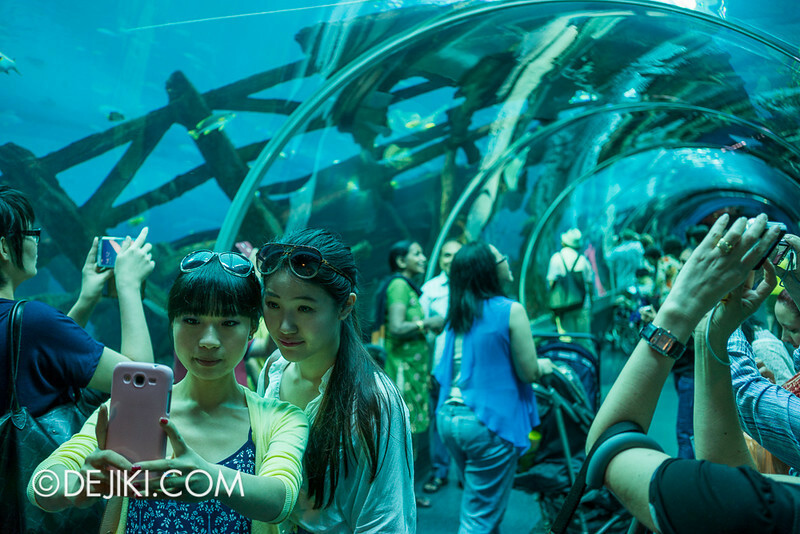 I’d start by saying that regular updates to the Marine Life Park: S.E.A. 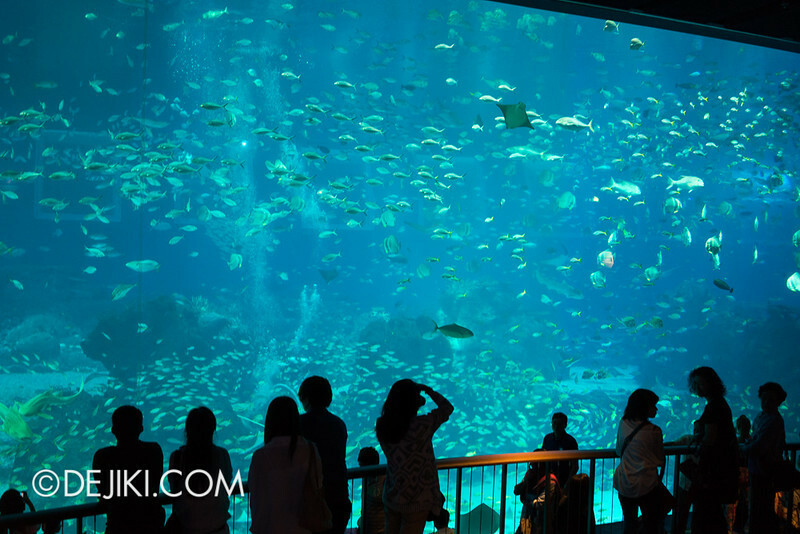 Aquarium Photo Update series will be suspended indefinitely. Actually, I’ve already stopped the series for a while. This is because the park has stopped offering its Annual Pass about a year ago. It is not feasible for me to revisit the park with One Day Passes just to see what’s new and noteworthy, and then blog about it. That means that my visits are a lot more occasional – either to accompany friends or for that occasional media invite. I will also not be able to focus on small changes in the exhibits. I’m not ending this series, it’s just that I won’t be able to check the Aquarium as often as I wish. As soon as the S.E.A. 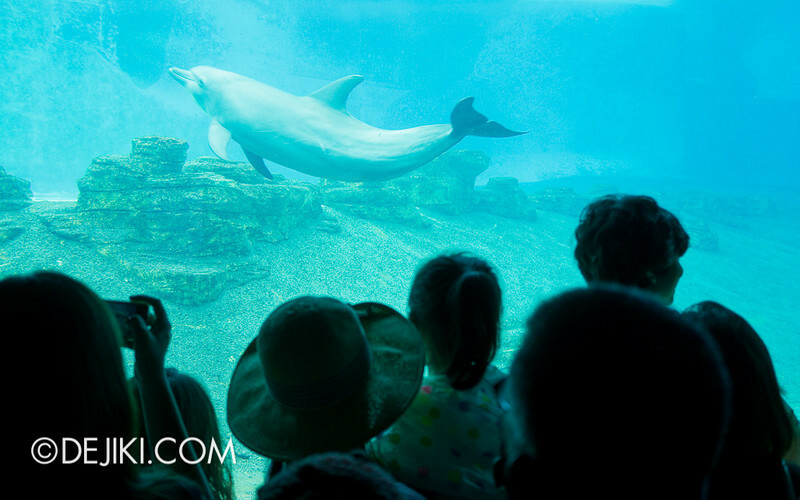 Aquarium Annual Pass is offered again, I will resume (more regular, and proper) updates for this series. UPDATE 01/04/2014: Annual Pass is back! Great news! The S.E.A. 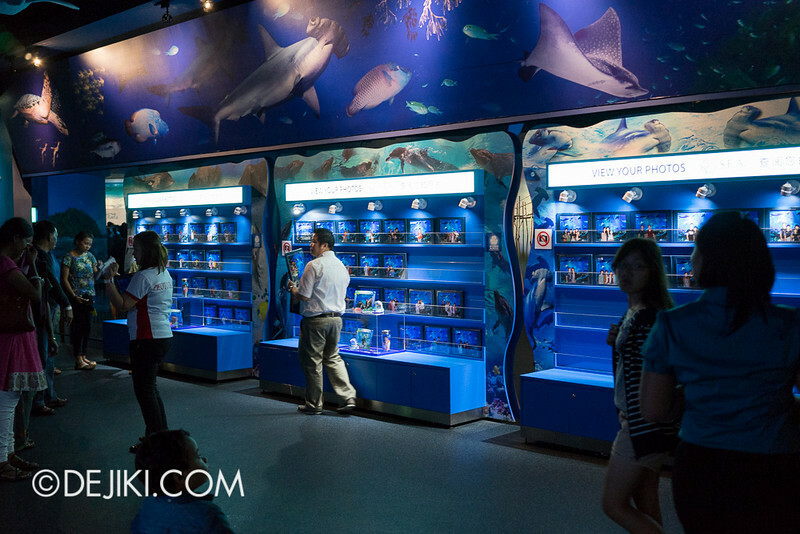 Aquarium Annual Pass is now available for sale again. Prices have been raised from 2012, but it reflects the increase of One Day Pass as well. Most of the perks are the same, although priority admission and Typhoon Theater perks are enhanced (unlimited for the entire year!) Would you be getting the S.E.A. Aquarium Annual Pass? Let me know what you think in the comments! Also, the Aquarium now offers VIP Tours at S.E.A. Aquarium. 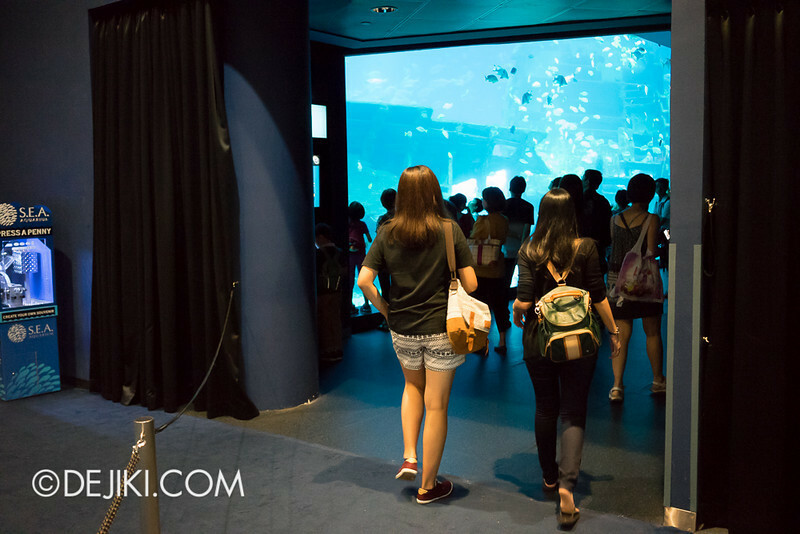 These tours, starting at 9AM each morning, allows guests to learn about the Aquarium and its exhibits, before the (literally) horde of guests swarm in at 10AM when the Aquarium opens. The package also includes a feeding session, as well as a souvenir VIP lanyard. After a ride down the escalator from the Maritime Experiential Museum… I found that the original entrance has been removed. On the other side, a dead end with two displays (one on Dolphin Island) that most guests would miss unless they are walking to the restrooms. The exit turnstiles have been completely removed, and now that space is the entrance and exit – separated only by a few ropes. It’s not pretty, but the flow actually works better this way. 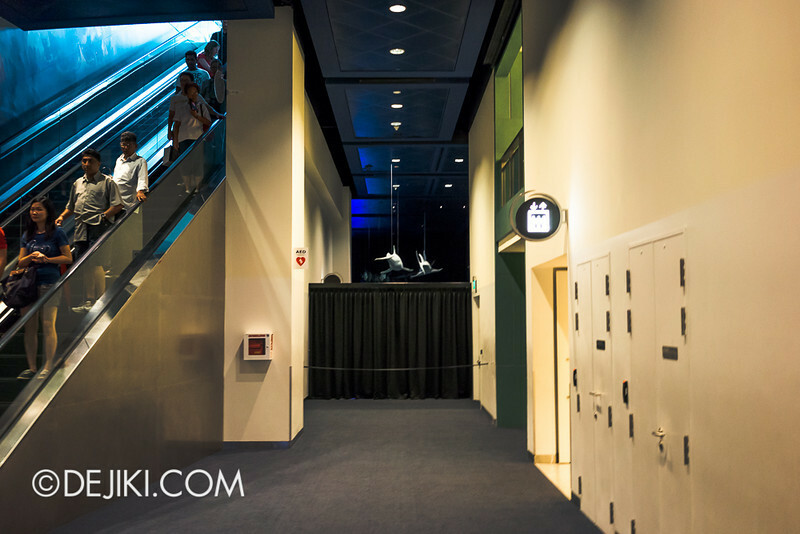 From the escalator, guests are now taken through the Maritime Archaeology Gallery (now filled with ropes) as some sort of queue switchback or “pre-show”. The path leads to this open space. If you have a S.E.A. 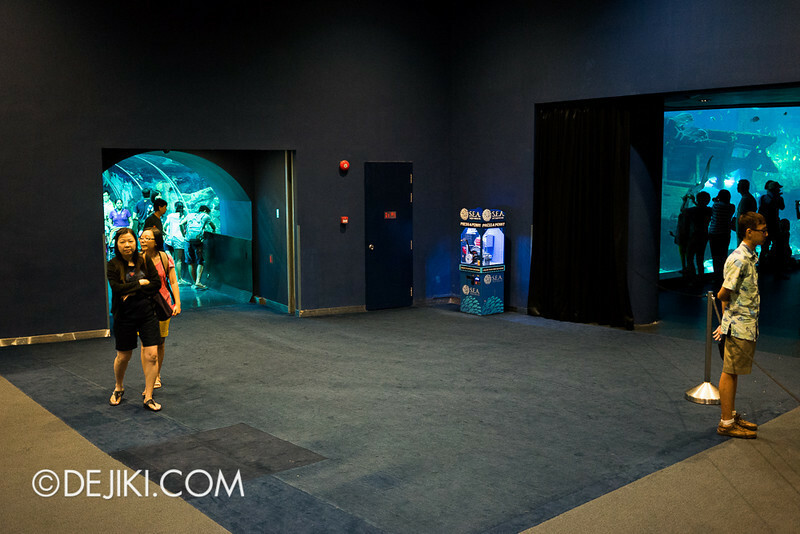 Express Pass (yes, they do sell that), then you can watch the Typhoon Theatre Show and go straight into the aquarium’s first display – the Shipwreck Habitat. See that Cotton Candy stand? Not sure if it’s specially for the school holidays. The tube is still a bottleneck even with the travelators removed. That is made worse with “mandatory” souvenir photo spots which have taken over the space after the tubes. 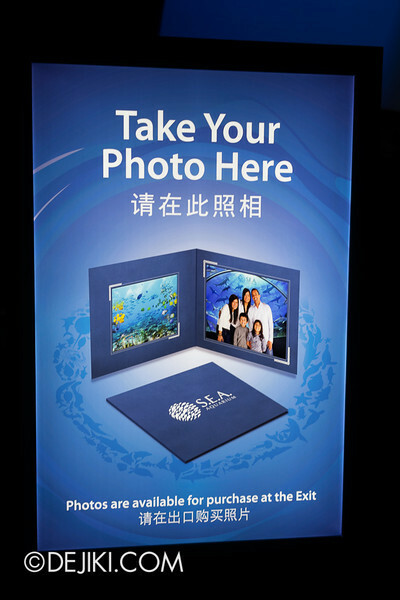 Guests can view printed photos on the other side as they leave the aquarium. As I’ve visited the aquarium during school holidays, it’s no surprise that it would be very crowded. 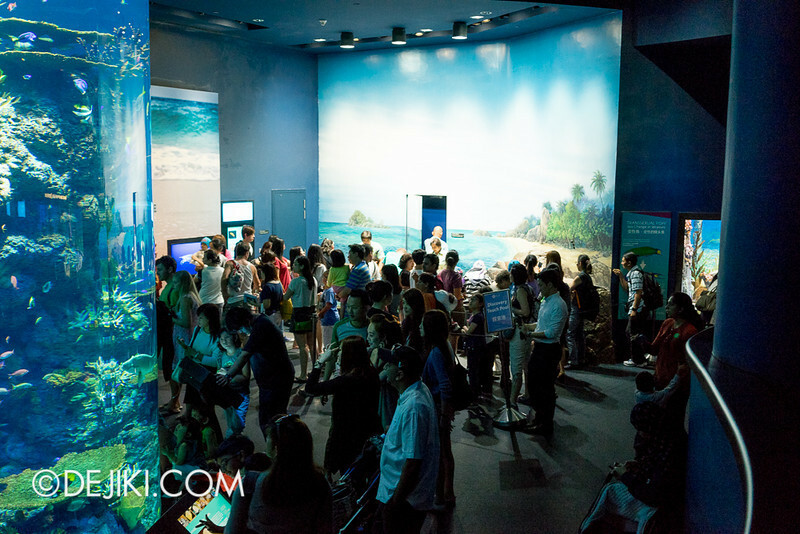 But like before, the crowd still holds around the first half of the Aquarium (till Open Ocean, where it disperses). 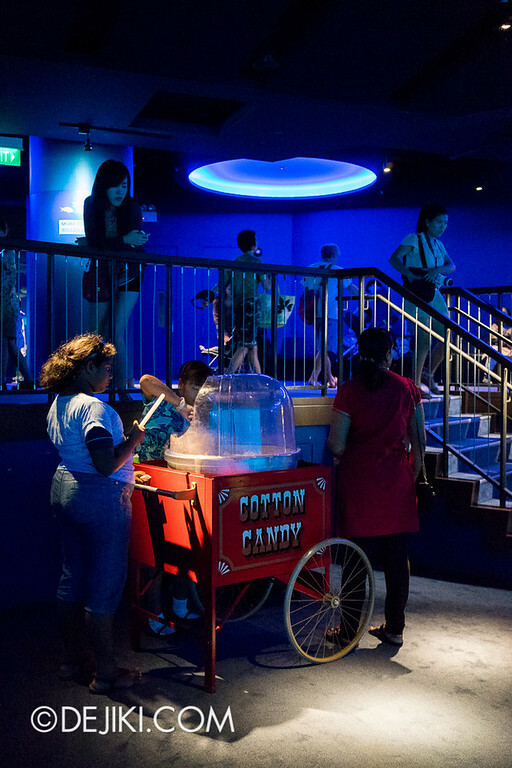 Enjoy cotton candy at the Open Ocean Aquarium! It’s $4 (normal stick) and $7 each (LED stick). 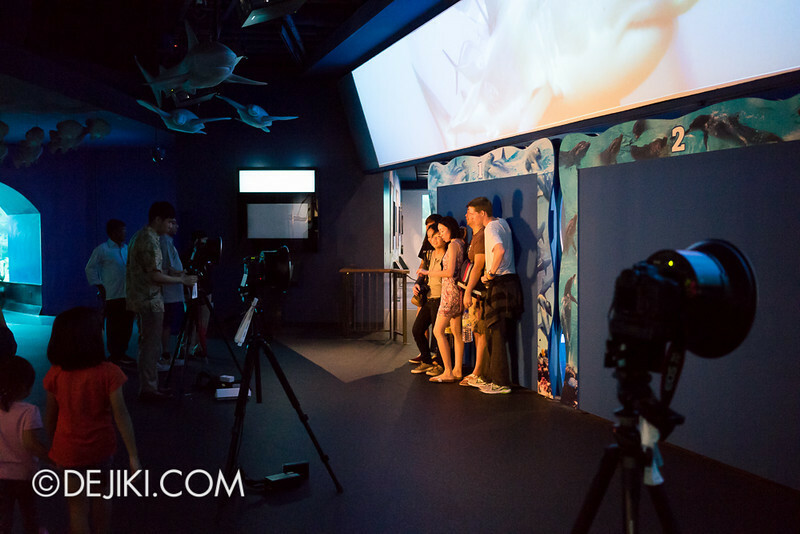 Some game booths are set up in the Open Ocean Gallery. These are educational games catered to children, just for the school holidays. A curious net surrounding the Ocean Dome, probably to keep some exhibits for the ceiling window. Despite still having crowd control issues and unnecessary additions (Souvenir Photos), S.E.A. 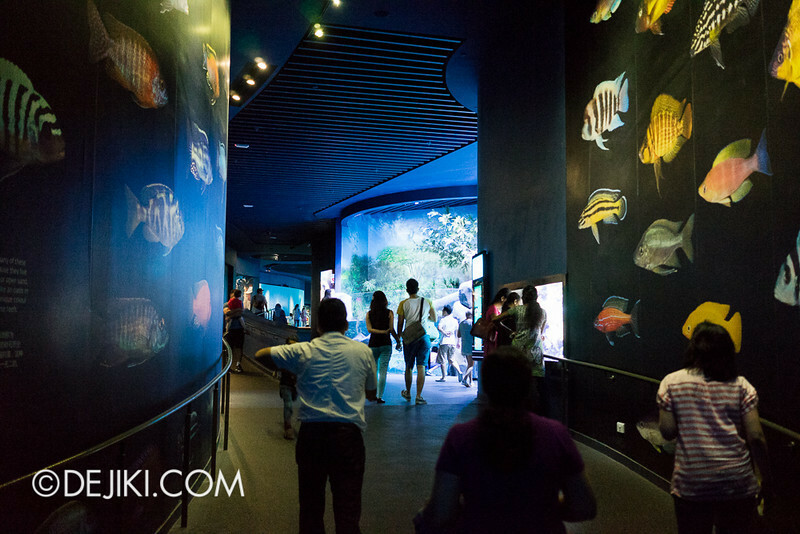 Aquarium is still an enjoyable attraction – one of the strongest at the resort. 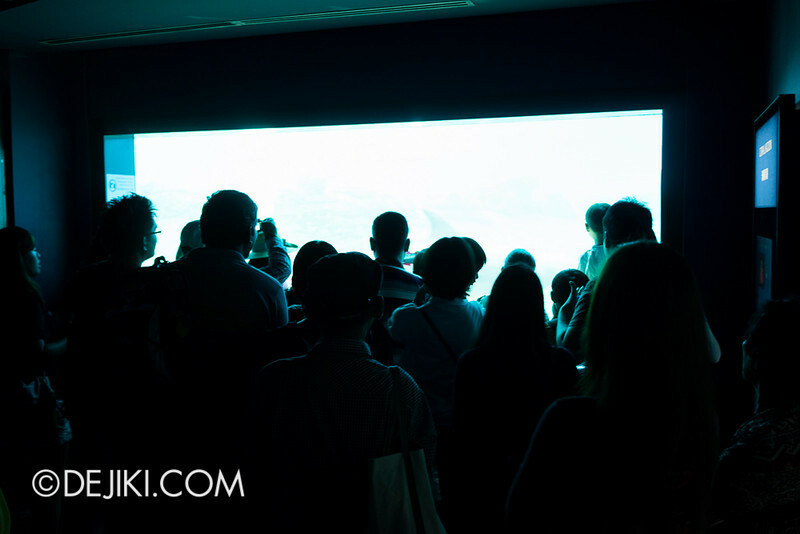 During my visit last week, none of the exhibits were down – everything is available for viewing, and there’s plenty to see. 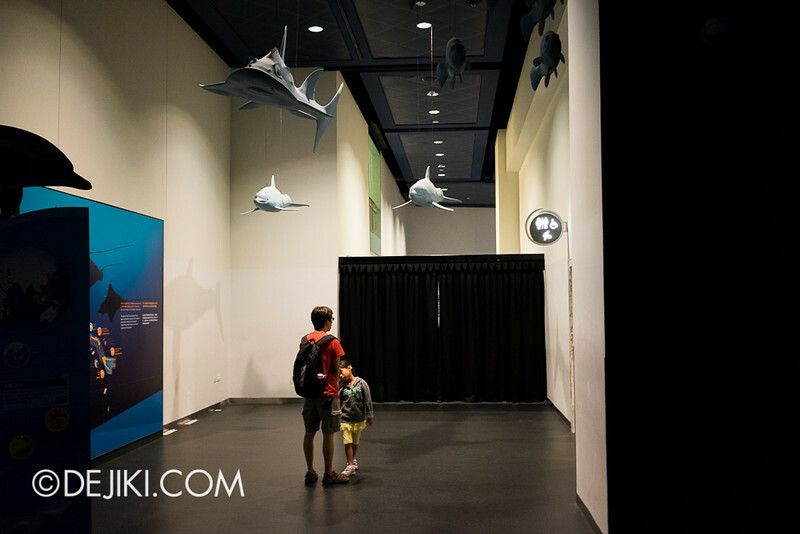 Just be patient (I’m… not quite) and you’ll be able to marvel at all that the aquarium offers. 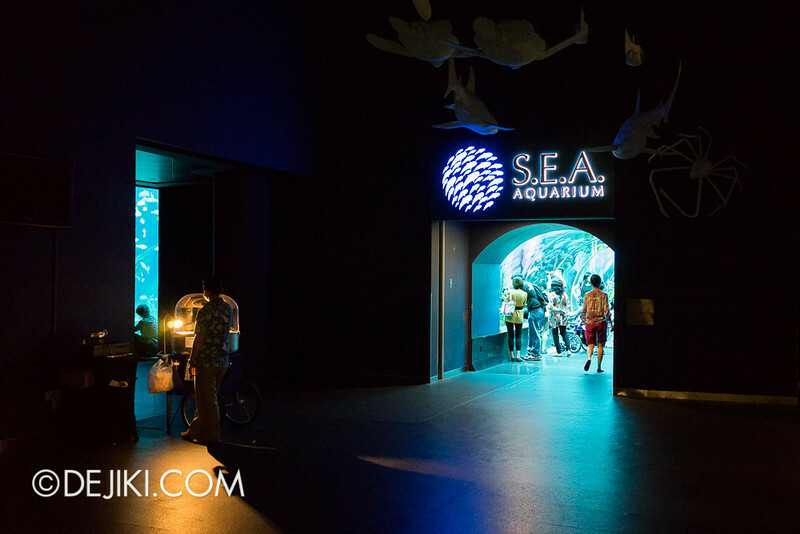 Anyway, the Aquarium still offers discounts for students, so long as they show Student ID and purchase tickets on-site. It’s $28 for the Student One Day Pass. Now that Adult Admission costs $38, knocking $10 off is a pretty sweet deal. Visit early during weekdays to avoid crowds. Thanks for the update. I haven’t been back to the aquarium since my annual pass expires last year. I hear rumours that the annual pass will go back on sale soon. I find the photographers too insistent. I know they’re doing their job, but once I was physically blocked by one of the female Filipino staff. I glared at her and threatened her to back off, to which she relented. Using arms/body to block people crosses the line for me and I have no reason to have to be courteous. 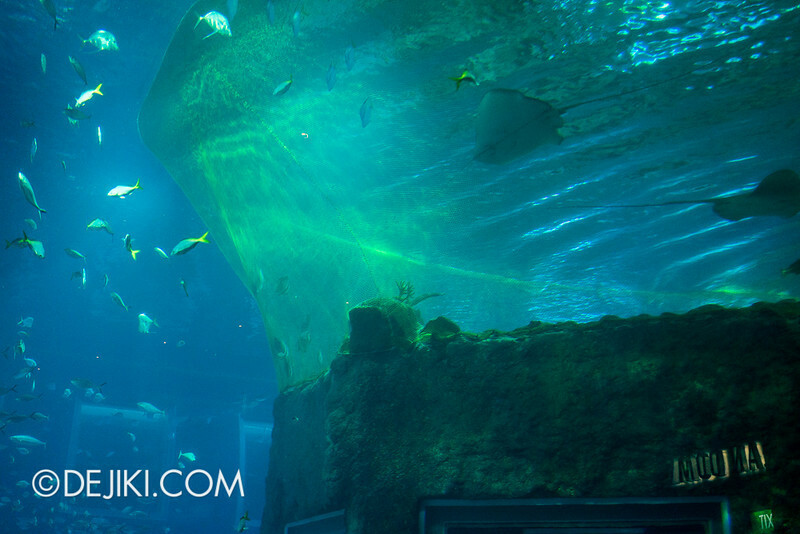 The net above the ocean dome is used to introduce new fish into the tank. Last December there was a new manta ray in there (a fourth one) but I understand it did not last in the open ocean tank. 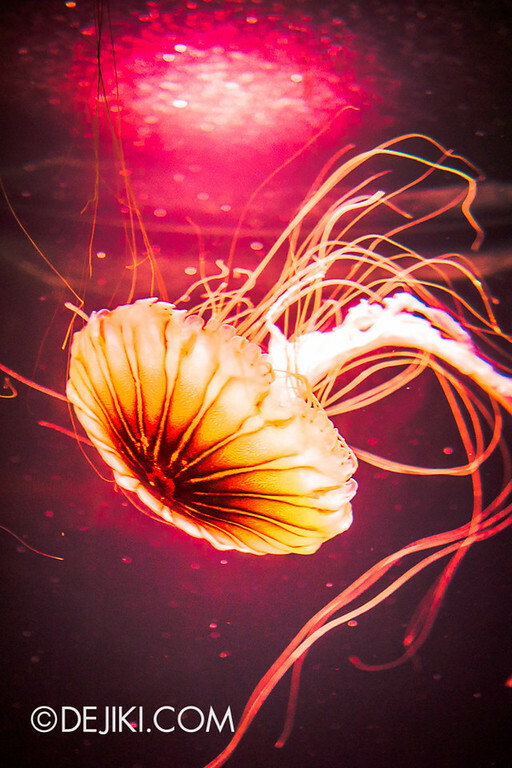 Just to let you know that the SEA Aquarium Annual Passes are on sale from 1 April onwards. Hope that means your photo updates can be a regular feature again. Thanks for the update. 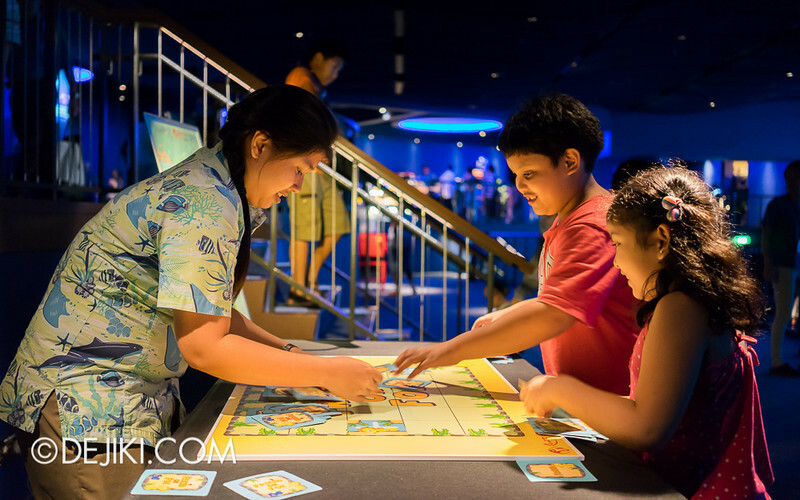 Do you know if rws continues to offer combined annual passes for USA, adventures cove and now also the aquarium. If so, any idea how much the bundled prices are ? Hi there. Excellent website! Any idea how much they charge for the photo booth pictures taken? Is it worth it to purchase? Thanks in advance!